Q. Is Photoshop World mostly for pros? A. Most of the people there will be hobbyists, or beginner to advanced photographers or designers, and there will be some pros, and aspiring pros (folks who’d like to make some money off photography one day, but they already have another full-time job so it would be a side hustle). Q. I thought driving for Uber was a side hustle? A. Well, that’s true (it has to be true, ’cause I heard it on an Uber radio ad), but there, apparently, are two other “side hustles,” those being driving for Lyft and of course, photography. Q. I’m kinda new to photography. Will I be lost at the conference? Will it be over my head? A. The people who learn the most, and get the most out of Photoshop World are people who are kinda new at all this. I’ve read literally thousands of evaluation forms from folks who have attended our previous conferences (this is our 20th year producing the conference), and while I’ve read many evals from people who said that they feared it would be over their head, in nearly every case, they told us they were relieved that it wasn’t and that they learned a ton. Q. I’m not really big into Photoshop, I’m more of a Lightroom user. Will there be anything for me? A. There will be a ton for you! We have a Lightroom training track that runs every day, all day during the conference, and we cover about every imaginable Lightroom topic from the ground up. Q. What about Lightroom for the PlayStation 4? Do you cover that? A. There is no Lightroom for the PlayStation 4. A. No, there isn’t and that’s not a question. You must state your response in the form of a question. Q. What is this, Jeopardy? Q. So, it’s called Photoshop World. Is it mostly Photoshop classes? A. There are a bunch of Photoshop classes, but there are more classes on photography, portraits and lighting, Lightroom (as I mentioned, but only for Lightroom on the Xbox), travel and landscapes, plus some really brilliant classes on the business side of photography. There is also a design track, along with classes on Adobe’s Creative Cloud, but the conference is more of a photography conference these days. Photoshop is still a very important part of the photography workflow, so we have lots of those classes, too. Q. Scott, is there any chance you could embed a short 33-second video clip here that would give me a brief glimpse at what the conference is about? Q. I’m new at all the post-processing stuff, like Lightroom and Photoshop. Will I be lost? A. What I would recommend is to come a day early, before the official conference begins, and take one of our in-depth workshops on Photoshop or Lightroom. That way, you’ll get a jump start on learning, and you’ll be able to take the classes in the conference track and pick up a lot more. We have lots of folks who do this every year, and it works surprisingly well. Well, that’s what they’ve told us anyway. Q. Is this more of a trade show or education? A. It is definitely an educational conference first and foremost. We do have a small partner pavilion where some of our friends and sponsors will be exhibiting. But, right alongside them, we have live theaters for more training, we have live sets for you to shoot and try out new gear, and you’ll have a great time hanging out there, even though our main focus is on education. Q. What if I come alone. Will it be weird? A. You won’t be alone for long. The conference is designed for you to meet new people, and make new friends, and we have all sorts of events to get you together with other folks, including those that are there alone like you. In fact, the first night we have special dinners set up called, Dinner with a Stranger where you all meet up at a restaurant, share a meal at the same table, and suddenly you now know 12 or 14 new people you didn’t know when you landed. We’ve been doing this for years now and it’s always a big hit. Q. Should I bring my camera? A. Absolutely! We have sets for you to shoot on, and photography challenges for you to try, and live models to shoot (which are so much more appealing than having dead models to shoot. Lesson learned). Q. Should I stay right there in the Hyatt in Orlando? A. Well, yes, but only if you’re going to the conference in Orlando (sorry, I couldn’t help myself). We have the run of the place at the Hyatt (or host hotel), but the rooms are nearly sold out (last year we sold out in advance), so go grab your room right now, and stay right in the middle of everything (it’s where all our staff, crew, and instructors are staying, and well, pretty much everything happens there). It’s been our favorite venue for Photoshop World ever because everything is right there. It’s all just steps away. Such a perfect place for a conference like ours. Here’s the link for travel info. Q. Do I get a discount if I’m a KelbyOne member? A. You bet! You get $100 off the full conference pass, and if you book right now, you’ll save another $100 using the Early Bird special, so that’s $200 off. Sweet! Q. Scott, I so loved that 33-second video you so kindly embedded above. It was epic (I cried several times). But, I’m a photographer, so do you have any stills from the event I can see? That would really inspire me! A. Well, I’m a sucker for heartfelt genuine requests like yours, so OK, here’s a link to a post I did with loads of images and the stories behind it all. Get your tissues ready, it’s even more epic than the 33-second video. Here’s the link. Q. 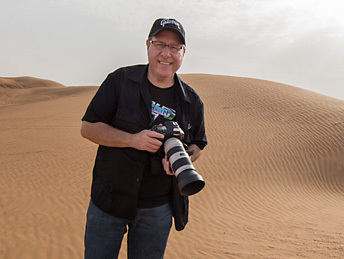 Will I meet other people from the KelbyOne Community? A. We have a community hangout lounge just outside the classrooms in the main lobby, and you’ll see me, and some of our community leaders, and other instructors all hanging out there together, and we’d love it if you came by and hung out, too. All the cool kids will be there. Q. Really, all the cool kids? A. Actually, no. Some of the really cool kids will have skipped class and gone to Disney World. Others will be stealing cars. That’s pretty much the only two options for cool kids in Florida. Well, that and aligator wrestling. Q. Is it OK if I have questions for the instructors or just want to say, “Hi”? A. Are you kidding? That is what Photoshop World is all about. We’re all in this together. We’re here to help, and our instructors are the most genuine, helpful, passionate folks on the planet (and handpicked because of it). I can tell you without reservation they would love to meet you, they’re happy to answer your questions, and you’ll see them everywhere during the event—at the first night’s Meet Up, at the After Hours party, at Midnight Madness, and at the restaurants and lounges at the hotel (they really like to booze it up…I mean, they enjoy the occasional adult beverage). They would be tickled if you came up and said, “Hi.” I know I sure would be. Not the boozing stuff. The “Hi” stuff. Q. What if I’m looking for more advanced training? A. You’ll find it here, too. Advanced classes usually have “Advanced” in the title, but you can also tell by reading the class descriptions if it’s for you or not. I think you’d be surprised that even if you’re intermediate level, our instructors are such great communicators and teachers, that you’d still be able to keep up. Yes, they are that good. Q. Do I have to sign up for which classes I want to attend beforehand? A. You do not, and that’s one of the things that I like best about our conference. You can choose any full conference class, any time, and move between classes any time you like. So, if you wind up in a class that you quickly realize is too advanced or too beginner for you, you can just move to any other class, in any other track, at any time. How cool is that? A. That was more of a rhetorical question, but thanks. Q. Can you help me convince my boss that she should send me to Photoshop World this year? A. We sure can, because we’ve already written a highly convincing, fact-filled, mind-blowing (that’s pushing it) letter to your boss telling her why it’s as awesome as everybody says it is. All you have to do is copy and paste it into an email to her (and add your name, of course), and that’ll do the trick (at least it has for a whole bunch of folks). Here’s the link to the letter. Q. Is the conference open to anyone? A. Everybody is welcome at Photoshop World, but the folks you’ll find there are: photographers (landscape and travel photographers, wedding photographers, wildlife, flash and lighting lovers, street photographers, pet photographers, headshot and fashion photographers, food photographers, and photojournalists). Plus, you’ll have lots of graphic designers, freelancers, web developers, video editors, ninjas, rodeo cowboys, and Art Directors. You’ll have pros, hobbyists, beginners, intermediate and advanced users. It’s basically a bunch of creative people, from all skill levels and backgrounds, coming together at this one place to get away from everything else to focus on learning, laughing, and making new friends. A. We like being really comfortable when we’re learning, so the dress is totally casual. In fact, the whole atmosphere is casual. You’ll dig it. We also have several clothing optional events (not really, but it’s worth a try in 2020). Q. If I come, can I enter the Guru Awards competition? I hear it’s a pretty big thing. A. Yes, it is, and no, you may not. A. OK, you can enter if you pay the Guru Awards entry fee. Q. How much is that? A. It’s free for conference attendees, but then only conference attendees can enter this competition in the first place, so basically, everybody enters for free. Entire careers have been launched off winning a Guru Award, so I hope you’ll enter. Q. Do you think I’ll win? A. No. It’s all rigged, but it’s fun to enter anyway. A. You say “Really? a lot. But no, it’s not rigged. However, there’s a large panel of judges, and a few do accept bribes. When you shake their hands, just have some folded up bills in there. Do it smooth, like you’re tipping a Vegas casino host to get a good seat for the Celine Dion show. A. No, of course not. You should definitely enter, and you certainly have a shot at winning. The odds are in your favor because it’s only people who are attending the conference that can enter. But, to be honest, I’ve seen your work, and I wouldn’t hold out much hope. Q. OK, actually this all sounds pretty awesome, where do I sign up? A. Here’s the link to the official site. You can choose Orlando (May 31–June 2, 2019), or Las Vegas at the Mirage Resort & Casino (August 21–23rd, 2019). Q. One more thing: will Peter Hurley be there? I love Peter Hurley. A. I’m sorry, all questions must be submitted in writing. Q. That question was submitted in writing! A. Oh. I see. Well, okay then. Yes, Peter Hurley will be teaching at the conference. I love Peter Hurley, too. We all do. He is love. A. I dunno. I think I saw it on a billboard once, but you said, “One more thing” two questions ago, so it’s time to move along little doggie. Well, folks, I hope you found that somewhat informative, a non-irritant, and that it gets even the toughest stains out of carpets, linens, and even upholstery on the first try (see, this is what happens when I finish a blog post at 1:27 a.m. on a Sunday). Hope I’ll see you at the conference in Orlando, or Vegas, and if you’ve got any questions I didn’t address here, just drop a comment below and I’ll pick ’em up during the day, and have them washed and folded by six. …it went way, way off the tracks. I think in a good way — but anytime you do an interview, and you actually talk about things like religion, well…you know it’s not your average interview. I really enjoyed going what host Andy McSweeney called “going off the grid” (I see what ya did there), and anyway, it’s an audio podcast with a part 1 and 2 (links below), and you’ve got a few minutes, you can let it run in the background while you’re doing your post-processing. If you want to come with me to Paris this summer, there are only two spots left. It’s going to be an amazing travel photography workshop — lots of learning, laughing, amazing French food, and making new friends in the most photogenic city in the world. Grab one of those spots right now (here’s the link with details), and I’ll see you in Paris for an unforgettable experience. Yup, this is right where we’re shooting one morning on our workshop. Where: Accommodations, transfers and all meals included. I hope you can join me at one of them. We have an incredible time, we learn a lot, we laugh a lot, we eat some incredible food in some magnificent places, and it’s just an amazing experience all the way around. Take a look at some shots and behind-the-scenes images from my Venice Workshop and my Rome Workshop from last year. They give you a good idea of what it’s like. Dave is awesome, it’s worth checking him out every Tuesday right here. All of my 2018 workshops were sold out in advance, and as of this morning, there’s only 9-spots left for this one. I hope one of those will be yours. Reserve your spot now, and we’ll see you in Paris this summer. Head to scottkelbyworkshops.com for tickets and lots more info. Hope I run into you next week out in Vegas at the WPPI show. I’ll be doing a book signing at the Rocky Nook booth on Wednesday. Come on by and say hi. Photoshop World 2019 Conference Registration is Now Open! We just posted the full schedule for Orlando, the 2019 instructor roster, and the pre-conference workshops (We’re finishing up the Vegas schedule and instructors now).